Letaka Safaris is excited to announce our new guided lodge to lodge itinerary for 2019 – Three Rivers. This safari will be conducted in our comfortable 14-seater air-conditioned Quantum vehicle and, like all Letaka scheduled departures, will be guaranteed with a minimum of 2 guests and run with a maximum of 7 guest. 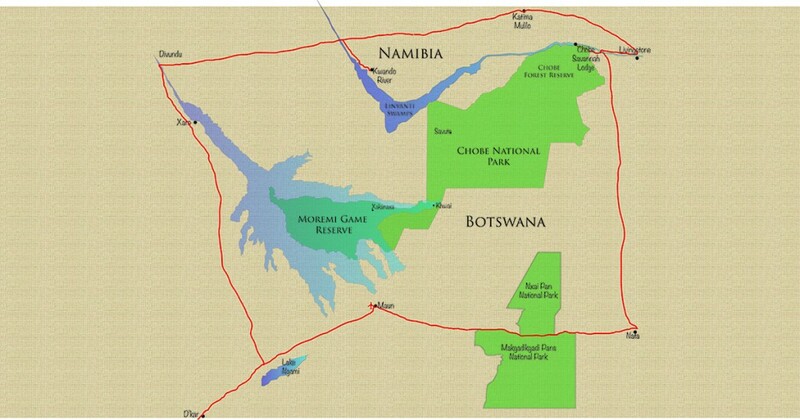 Incredible itinerary encompassing three countries for 10 nights with some of the best guides in Botswana. Enjoy the opportunity to see a bushman traditional dance, walk on the islands in the Okavango Delta, enjoy the sunset on the Zambezi river, experience the thrills of Livingstone before seeing the elephants swim in the Chobe river and finally heading out on to the Makgadikgadi Pans.